Ask a nonprofit executive what the most important financial decision they have made is, and you are likely to hear about a big six figure ask with a major donor, a million dollar grant proposal, or perhaps a failed direct mail campaign that cost the organization thousands of dollars. But what about hiring for a development position? Fundraising is well known to be a high turnover industry, and the costs of replacing lost employees, locating good job candidates, and training new staff are some of the highest costs a nonprofit can face. Yet until the moment of need strikes, these costs are rarely dwelled upon at length by directors and executive staff. Not to mention the massive potential for lost fundraising revenue while a development position sits open and donor cultivation starts to fall by the wayside. I can’t count the number of times I have begun to read a job description for a development position, and somewhere in the first few lines there’s a statement that goes something like “Successful candidate will create and implement a strategic plan to raise $500,000 in additional revenue by the end of 2018.” In other words, the organization’s leadership has a financial goal in mind for organizational growth, but no real plan about how they are going to get there. The nonprofit is asking the candidate himself to define his own role, before he even has a real grasp of the organization and its operations, and the nonprofit itself is planning to make a hiring decision before knowing what the candidate’s plan would actually be. This is insane! The executive leadership isn’t really interested in fundraising activities or donor communications, and is hoping that whoever they hire can simply take any and all fundraising duties off their shoulders. The leadership team has not even thought through whether their goal is a realistic one, given the current shape of their donor base and the time and resources that meeting the goal would require. The people involved in the hiring process do not themselves have a clear enough view of what fundraising activities should be undertaken by a new hire, or do not understand their own organization’s strengths and weaknesses in fundraising. There is some pressing financial need that must be met, such as a looming debt payment, that is forcing the organization towards a goal that they don’t currently see a way to meet. So they are hoping that a new rockstar fundraiser can magically raise the funds out of nowhere. Obviously, these are not situations that quality employees are eager to place themselves in. Nor do they set up a new hire to be successful in the role, no matter how good they may be. Not to spoil the play for the uninitiated, but the whole point of Waiting for Godot is that Godot never shows up. Similarly, many nonprofit leaders craft a nearly impossible description of an ideal candidate who will never materialize. They expect the person to have technical mastery over the details of the donor database and the crunching of metrics, the social skills to hobnob with even the most difficult major donors, and the leadership to guide a whole fundraising team effectively. They do not realize that the aptitudes required for each of these tasks are vastly different, and are rarely found in the same individual. And once deciding that they need to wait for this perfect candidate, they do not know how to effectively spread the word and advertise for the position. At worst they simply hope that he or she will materialize directly through their own organizational networks, or after encountering the opening on the organization’s own website. And then they wonder why Godot never comes. Salaries are a funny thing in the nonprofit world. Many organizations fall prey to one of two deadly extremes: on the one hand, being too cheap to attract a candidate who can actually perform the duties required of them, and on the other hand assuming that a high performing candidate must necessarily be an individual with decades of experience and a commensurately high salary. If the latter disease is the culprit, nonprofits will often decide that they can’t afford to hire another development staff member at all, or if they do make the hire, get quickly burned by the mismatch between the high salary the candidate commands and the results that such a person is able to achieve within the confines of your organization’s resources and time-frame. Depending on the position and the needs of the organization, it may be the case that a sociable young person who is enthusiastic about your mission and willing to be trained (and who may already be working in your programs staff) would do better cultivating donors than a career major gifts officer who has never heard of your organization. Or it may be the case that you have to be willing to pay up for a candidate with the leadership experience to keep the whole development department running smoothly. And always keep an eye out on other expenses: what sort of travel budget will your new hire require? Does a new hire reduce the funds you might have available for more donor mailings, and how would that affect the organization long term? The true costs of making these errors are often hidden, since they don’t appear as obvious line items on the balance sheet. But problems with hiring and extended vacancies are expensive, as is constantly replacing development staff that inevitably leave when there is a misalignment of expectations. When it comes to staffing, investing in a solid plan and crafting a well-defined role can save your organization a lot of money and accelerate your fundraising revenue in the long run. It is my goal to help purpose-driven organizations achieve their fundraising goals, craft clear and compelling communications, and achieve greater influence. Please let me know if and how I can be of help to you. 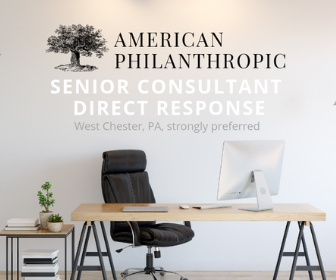 Feel free to shoot me an email at mgerken@americanphilanthropic.com or check out AmericanPhilanthropic.com. We also host ongoing fundraising trainings throughout the year.